In the airline industry, where British Airways was forced to cancel thousands of flights over the May bank holiday weekend due to server issues impacting its baggage, ticketing and check-in systems, the need to ideally avoid, but at least respond quickly to IT service issues is vital. 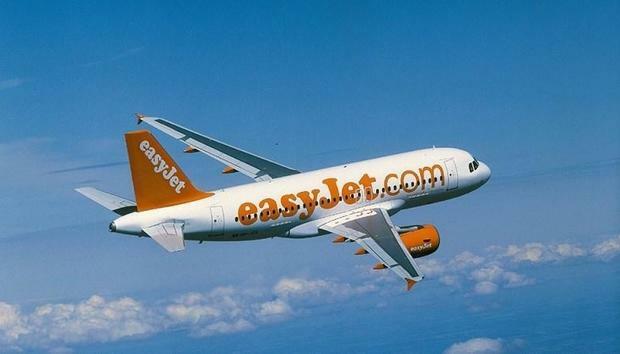 EasyJet, one of Britain's busiest airlines, started its biggest IT transformation project - internally referred to as the Future Commercial Platform - four years ago, around the same time head of commercial systems Adrian Ball joined the company from UK retail giant Tesco. "My background is lots of big change in the ecommerce and CRM space, and previously I had tried to do that without a decent level of application performance monitoring (APM) tooling, and that has been a mistake," Ball told Computerworld UK. AppDynamics, which was acquired by Cisco in January for $3.7 billion (£2.86 billion), specialises in APM tools and it was this software that Ball pitched his CIO back in 2013. AppDynamics eventually won a tendering process for APM tools, beating Dynatrace. "I pitched early for decent tooling with the CIO to understand what is going on at the business activity level in the machine to provide a resilient, robust service to customers," he said. So Ball headed up a replacement of legacy platforms and systems across reservation management and commercial channels, as well as consumer-facing portals like its website, mobile app, contact centre, airport sales desks and 70 indirect channel partners. The aim was to improve the airline's ability to change at speed and reduce the cost of that change. "Getting AppDynamics in during that phase allowed us to quickly laser focus on constraints and bottlenecks across the tiered architecture," he explained. "So progressively making sure we iron out any potential constraints as we go." That isn't the end of the AppDynamics deployment though: "The key thing we are going to be using it for once this project is complete is to be able to trace transactions through end-to-end, from customer devices to our frontend systems of web servers and the commerce platform and legacy systems and back out again. "So the great thing with AppDynamics is you get dashboards on top of those services to get early indications when there is trouble at mill to the service and operations teams to preempt issues before they hit customers." Kevin Tomes, service delivery manager at EasyJet spoke about how AppDynamics has reduced the time it takes his team to spot and resolve service issues across its estate, of which 85 percent is now tooled with AppDynamics. He explained that previously: "It would be a huge piece of work to find where an issue arose. Now we can identify an issue quickly and mitigate the impact of that on customers or flights." Ball gave a recent example. EasyJet, like many budget airlines, is reliant on selling ancillary products and services like parking or insurance, which requires integrations with third parties. Previously, as they came close to sending these integrations live there would be disputes between the two sides over where performance issues would lie. "Now we are able to pinpoint those on both sides across that enterprise integration platform," Ball said. This sort of insight has given the service and operations team at the airline a more business-oriented outlook, according to Tomes. Now the team can "link together business activity monitoring and the impact on revenue at a granular level and link that to specific performance issues. Then they can provide a better service to the business and customers". Despite not being able to put a tangible number to the sort of cost or time savings AppDynamics has given the airline yet, Tomes said that the sort of health check they would run the morning after an update would have taken several hours previously, whereas now his team can spot service issues the minute they get to their desk. Ball added: "The key is the resolution time on issues and preventative elements are important. Basically knowing what the issue is, unlike the old days where you don't even know you have a problem, or if you do you hit the reset button, as opposed to looking at what the tools are telling us, to be more precise in your response. "I would say it is not the only tool in our service team's armoury, but it is being lined up to be the central monitoring tool for us, like an ECG machine for the monitoring team."